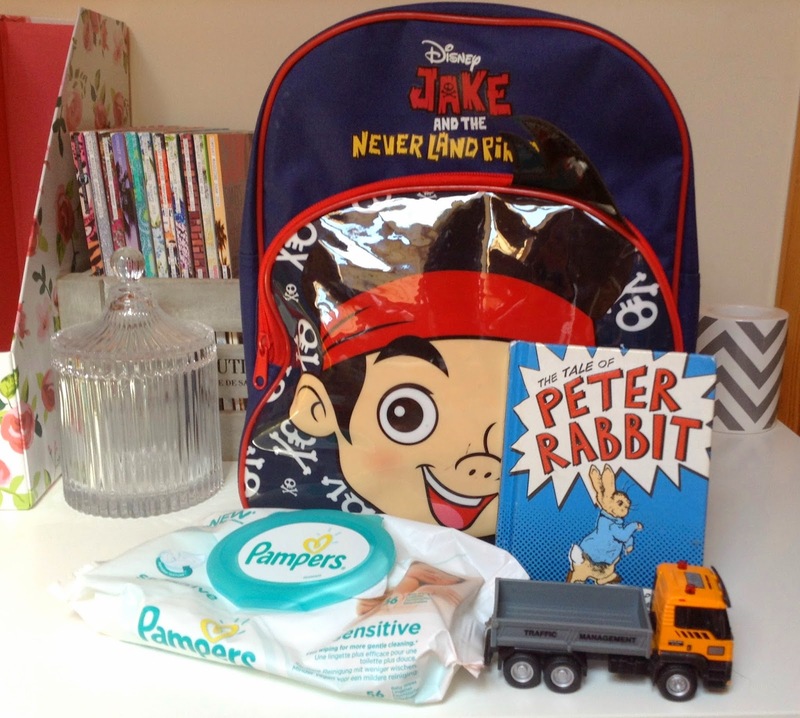 Hello lovelies, today I thought I would share with you, well probably more the parent bloggers who might have an interest, in what is inside Oscar's day to day bag currently. Firstly a bag would help, I searched high and low for a Mickey Mouse bag when we was out shopping a couple of days before he was starting nursery as before this new Jake the pirate edition I was using a Cath Kidston floral number baby bag, not really cool for Oscar to be rocking up to nursery with I am sure, not that boys can't have floral before anyone attacks me... Anyway, the bag itself was a steal under £5 from Sports Direct as that was the only bag in the area with Disney characters on, Oscar loves Disney Junior and said wowww, ake ake (jake) when he saw it, but what is inside the Jake and the never land pirates bag? If he is going to nursery I don't put in his toys as there are plenty to choose from there or snacks as he is fed well there also so no need for them to be wasted in there. Essentials are obviously nappies and wipes but all the things above if your out around town it is no bother if you have forgotten something because you can pick it up in the shops but depending where we are going for the day I like to be prepared, long trips? Stopping at nanny's? There might be more things added or things taken out if you would like to see what I have/need for different days let me know in the comments below. We will be going on holiday in September so I could do a suitcase vlog or blog post, may be useful to mummy's first time going away. What do you have inside your little mans or girls bag for the day?